Baska has a degree from Northern Illinois University in Applied Manufacturing Technology along with 8 years of laser technology experience. “I am excited to join a professional environment at a company with many opportunities to learn and grow. I am eager to use my experience and education to help our new laser customers through the installation process,” said Baska. Baska is the single point of contact for all new laser machine installations. Baska will be responsible for coordinating all aspects of machine installation such as planning delivery logistics, coordinating contractors, scheduling customer training, and advising with any challenges along the way. 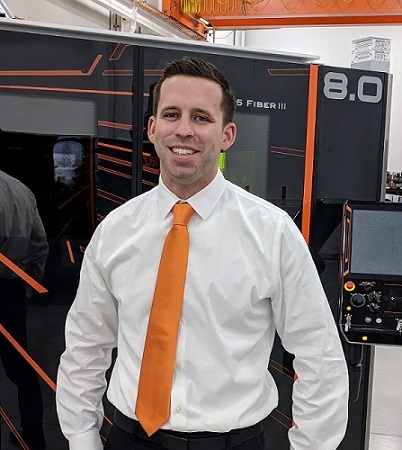 Please join us on welcoming Rowdy Baska to the Mazak team.